We are constantly evaluating how we can empower our developers to create engaging experiences faster, and at a larger scale. Over the coming months, you might notice more enhancements to Studio as we strive to make this a reality. Today, we are releasing one of our first major milestones to enable this: saving games to cloud. Saving to the cloud means you are storing the work-in-progress, development version of your place in the cloud. This development version will not be accessible to players until you publish it. Functionality that relies on the game being in the cloud, like Game Explorer and Data Stores can now be tested without having to publish your game. You can continue working on your game no matter where you are- no need to manually copy files between devices. For games with Team Create enabled, changes will only be made live for players when you explicitly publish. This means you can enable Team Create for your production game without accidentally breaking the live game. With the release of this new feature, when a new game server is launched it will use the last published version. You can now see which versions were published under Configure Place —> Version History. 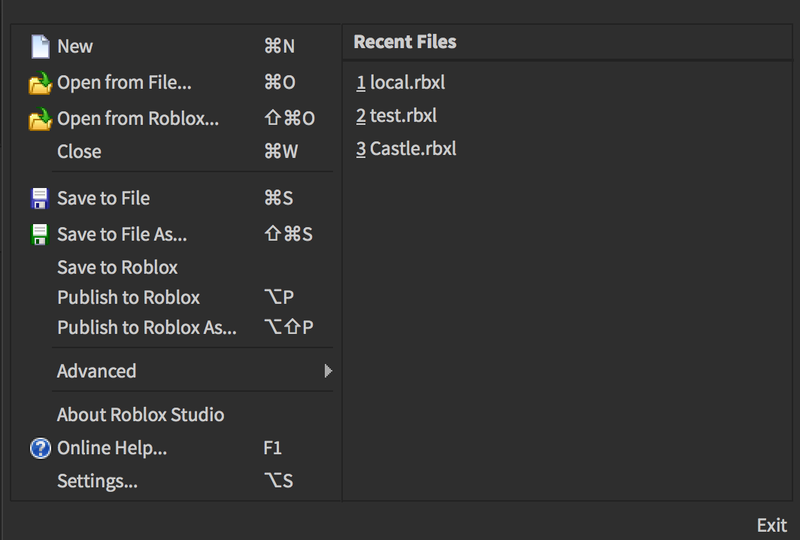 Additionally, you will notice some changes to the File Menu in Studio. We renamed options in the File Menu to more explicitly call out the actions you are performing. 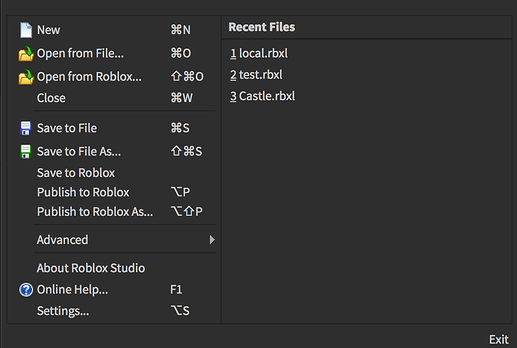 You will notice that we have added a Save to Roblox option which will perform the save to cloud action. In Team Create, your camera’s position and properties will now persist per place. We plan on enabling this for cloud saved games in the future. We changed the local recovery dialog to make it clear that it’s not an auto-save. It is in fact, an auto-recovery. Moving game development to the cloud will enable us to do many exciting things in the future. This includes enabling better script collaboration, facilitating easy management of collaborators, and keeping a detailed version history of all changes to the game. I’d also love to give a huge shoutout to Regal_Corgi, @n_warrior1729, fenrirwolf48 and cymylog for making this feature happen. Feel free to let us know what you would like to see in the thread below! Great! This was really needed for my team, thanks for this change. Finally! I just recently had this issue and ended up creating an entirely new development place. Unfortunately Studio doesn’t work for me anymore but if it ever does then this will be amazing. not published) version? Currently, Roblox Battle (2018 Edition) has 3 development builds split over my account, a private test group, and the main Nexus Development group, which makes managing assets really complicated since certain assets require re-mapping for the game id. An additional bonus would being able to make builds invitation only or link only to limit the scope of testing to a group of people for QA testing. This is an awesome update, however I do have one question. Let’s say you’re working on a team create enabled place with your developer friends. We then save the game to the cloud but do not publish it. Are we able to test in a live server without actually publishing the game to all players? If not I think this would be pretty useful. An example of implementing this would be a toggle similar to the “Add to Profile” button that would put the developer in their own server (or a server with developers who also have this setting enabled), and hide the server from public view, similar to reserved servers. This would also allow the developers to play in live servers if they want. Out of curiosity, will local editing still be available after this is enabled on? I have some code that looks just like that. So if i’m getting this right, it will autosave but won’t autopublish in TC? From the looks of it, yes. This is different from team create since it requires publishing a specific version to Roblox without publishing. Shouldn’t be any different than directly publishing. So when you close TC without publishing you can open it back up and the edits will still be there without being published to a live game? Let’s say you’re working on a team create enabled place with your developer friends. We then save the game to the cloud but do not publish it. Are we able to test in a live server without actually publishing the game to all players? If not I think this would be pretty useful. Just throwing out some ideas here, but what if there was a tab to access the cloud when you entered studio so you can quickly visit your places that are stored on the cloud. It would also be fun that if we had a tab to access the cloud that we could organize versions into folders and sort of “group” our games just to provide organization if the cloud is for all our games we make. This idea wouldn’t work out well if the cloud you’re accessing is just for a single game, however. I could be interpreting this update wrong however so it may be an error on my part and if it is, I apologize for that. Anyways, I see this being a great update in the long run! Is there any idea of when solo and team testing may be added? There are currently no definitive plans, but we understand the use cases for this feature and will be investigating it soon. Coincidentally, starting today I’ve had issues opening a few of my games. I am currently unable to open one of my live projects. Awesome! What does the timeline look for detailed version history functionality? In your screenshot, there seems to be multiple checks in the “published” column for multiple versions. Will there be a way to tell which version is currently published? The latest live version is always what is currently published, so you can simply look for the latest version that has a checkbox in the Published column.